The clear and simple meaning of freelancing is to have different short-term assignments, contracts or jobs with number of websites, companies, organizations which would earn one money without any long-term contract. Methods of Becoming a Successful Freelancer to Earn Money. 1 Decide on your craft. Decide what type of freelance work you are committed to doing. Freelancing jobs are as broad as the work force, and you need identify what it is you want to do before you can begin to do it. View your skills as valuable resources that are worth charging and receiving pay for. Reflect on what you're good at. 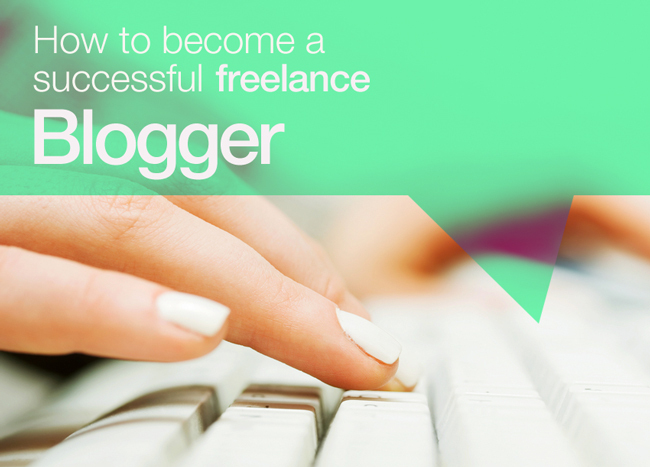 Just about every type of skill can be turned into a freelancing opportunity. Keep in mind that you're "secondary" skills, like researching and writing, for example, can be just as useful as a specific set of skills unique to a profession (e.g., graphic designer or computer programming). If you know you're a strong writer, then you could develop a freelance writing business. 2 Create a brand. To get your freelancing operation off the ground and becoming profitable, you need to think about how you will market yourself and your products/work. This is called branding. You need to create a brand for your what you're selling and how it sets you apart from the competition - this is your "identity and includes your website, logo, tagline, blog, and social media accounts, among other aspects. Your brand should clearly communicate what you do that is special and what you offer that is worth buying. Try to narrow your focus to a specific industry. For example, if you decide you want to do freelance writing, you might only decide to write for online travel sites and business and thus be a freelance travel writer. Or you might decide you want to write for business and corporate websites. Specializing within the field (in this case, the very broad field of writing) will make you more attractive to potential clients because it shows you have a particular rather than a generic set of skills, also known as a niche. 3 Build a portfolio showcasing your work. A lot of potential clients are less interested in your specific qualifications than in a demonstrated ability to do the job. They want to see samples of your work and decide whether you're a good fit for their particular project. So building a strong portfolio of your work (samples as well as past projects) is key to building your business and in fact, you shouldn't launch your freelancing business until you have this portfolio. Include as well testimonials of people and organizations who you've worked with. Reading glowing reviews will help boost your profile among prospective clients. Generating submissions for your portfolio takes time and resources. If you have no paid assignments or previous work to put in a portfolio, create some by offering your services pro bono or taking your free time to produce some. 4 Develop business-savvy skills. You may be a freelancer, but you also need to be a business man or woman. To successfully earn money as a freelancer and turn it into a career, you need to become familiar with the basics of operating a business, like taxes, bookkeeping, marketing, etc. In many cases, these business basics will take more time than the actual freelance service or product you offer! Consider talking to friends (in real life or online) who've earned money freelancing about the business ins and outs. You could also consult a number of books and online sites about how to start up a business from the ground. Although it might seem premature to worry about the "business" of your freelance work, having a business model with goals, deliverables, benchmarks, and so on can help you determine the scope and scale of your freelancing operation. A clear business model, and transparent accounts and books, will also show clients that you're the real deal - a professional freelancer and not just someone working in their pajamas at home. Set prices for the services or products you offer. Figure out if you charge an hourly rate or per piece/product. Be ready to explain how you charge for what you're offering (i.e., the breakdown). 6 Create invoice templates. Using a word-processing tool (like Microsoft Excel, for example), design an invoice that has all of the important information (service rendered, cost, payment, addresses of the payee and payer, etc.). Establish an accounting plan and consider opening up a business bank account. Often banks have special services and fees for business bank accounts. Look into how much you should be charging and setting aside for taxes.